Provide the Enrollment ID that you want the user to observe. 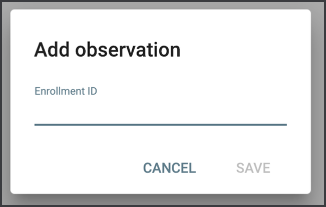 To disable an observed enrollment, check its box and click Remove; check multiple boxes to remove more than one at a time. To import observed enrollments using a tab-delimited or comma-separated file, click Import and browse to the file on your computer.